The OIV announced this week that the Proceedings of the 16th Australian Wine Industry Technical Conference had won a 2018 OIV Award. 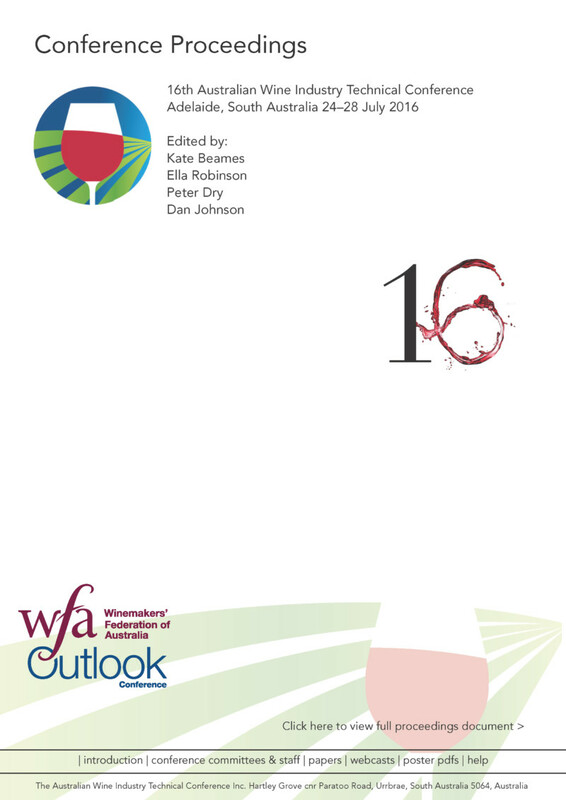 These awards, presented annually by the Organisation International de la Vigne et du Vin, reward the best books relating to the vine and wine sector published in the past two years. The 16th AWITC Proceedings (edited by Kate Beames, Ella Robinson, Peter Dry and Dan Johnson) took out the award in the Symposia proceedings category. The award will be presented at a ceremony in October 2018.